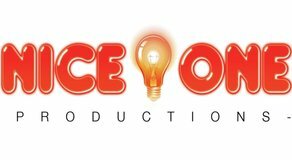 Fizz, part of Banijay Group’s RDF, has announced that it is striking a partnership with Belfast-based start-up Nice One Productions. A new project, which has received funding from Northern Ireland Screen, will see Fizz work with the comedy entertainment business to co-develop and co-produce a range of formats for local and national broadcasters. The partnership recognises the increasing demand from the UK’s leading broadcasters for content born out of the nations and is in line with RDF’s overall commitment to expanding its operations outside of London. Fizz and Nice One have come together to target five original ideas initially, with all productions stemming from the partnership intended to be produced in Northern Ireland, utilising local talent and locations. The new Northern Irish partnership has been spearheaded by Fizz’s Creative Director, Neale Simpson, and Nice One’s Founder and Creative Director, Chris Jones. Utilising Simpson’s established relationships in the commissioning space and track-record in entertainment, along with Jones’ own extensive production experience and local expertise, the collaboration aims to increase non-scripted activity emerging from the nation. Nice One’s commissions to date have included ‘Fright Shorts’ for BBC iPlayer and ‘What Makes You Tic?’ for BBC Three. Chris Jones’ Devised By, Executive Producer and Producer/Director credits also include ‘Ask Rhod Gilbert’, ‘Monumental with Adam Hills’ and ‘Britain’s Favourite Childrens Books, with David Walliams’. A leader in the entertainment space, Fizz is behind Channel 4’s 'The Crystal Maze’, E4’s soon-to-return ‘Shipwrecked’, and ITV’s daytime quiz juggernaut, 'Tipping Point’. The announcement follows RDF West’s recent partnership with Cardiff-based Wales&Co.